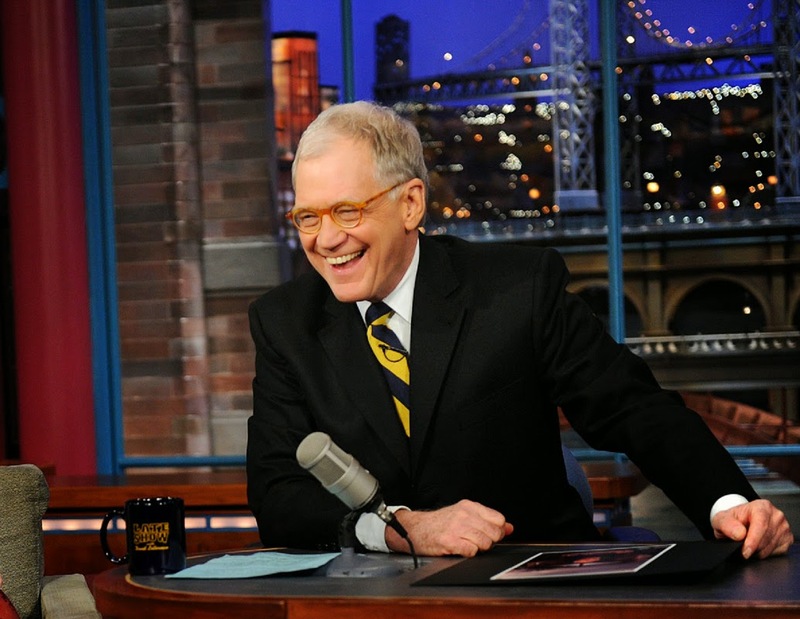 David Letterman walked into the pages of history Wednesday night, ending a 33-year run. The final Late Show ran 20 minutes long and included a montage of historical images shown over the top of the Foo Fighters playing Everlong. It was nicely done. Letterman, you may recall, was heir apparent to the Tonight Show when Johnny Carson retired on almost the same day in May 1992. But NBC somehow stumbled onto Jay Leno, instead. 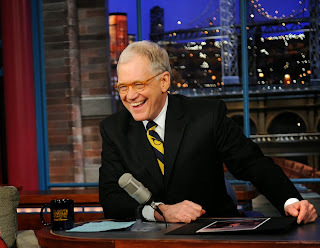 That snub pushed Letterman to CBS, where he spent the last 22 years doing the Late Show and becoming a cultural icon. To me, Letterman is the last of the great late night hosts, in the mold as his idol, Carson, He didn't gush over celebrity guests and, instead, could make them fairly uncomfortable. In fact, he's the last late night host who guests respected. That's not the case with any of the current late night hacks, who fawn over guests in between mindless skits. Perhaps Colbert will be different. Letterman's show wasn't a talk show, exactly, He mixed talk with quirky forays into comedy that tickled the funny bones of viewers. This was particularly true during his time on NBC and in the early days at CBS, when he had something to prove and worked hard to do so. Despite the effort, Letterman only briefly gained the top spot on late night ratings and that was very early on in his CBS tenure. Why? Partly because the Tonight Show always enjoyed residual popularity from the Carson era and partly because, well, NBC is a better network with better local affiliates than CBS. Of course, the Late Show had been in decline in recent years. Letterman seemed to lose interest. Still, I couldn't help thinking, as he closed up shop, that he was under-appreciated and that we will not see the likes of him again. Late night TV isn't what it once was, for sure. Viewers are more apt to watch late night highlights on their DVR or computer than they are to watch live. The landscape has morphed. It's hard to see anyone sticking around for 33 years and 6,000+ shows. Like Dave. If there's a beer equivalent to Letterman, I don't know what it is. One beer it definitely isn't is Corona, Where Letterman failed to win the ratings war despite usually producing a superior product, Corona has become a popular, fast-growing brand despite being not very good. 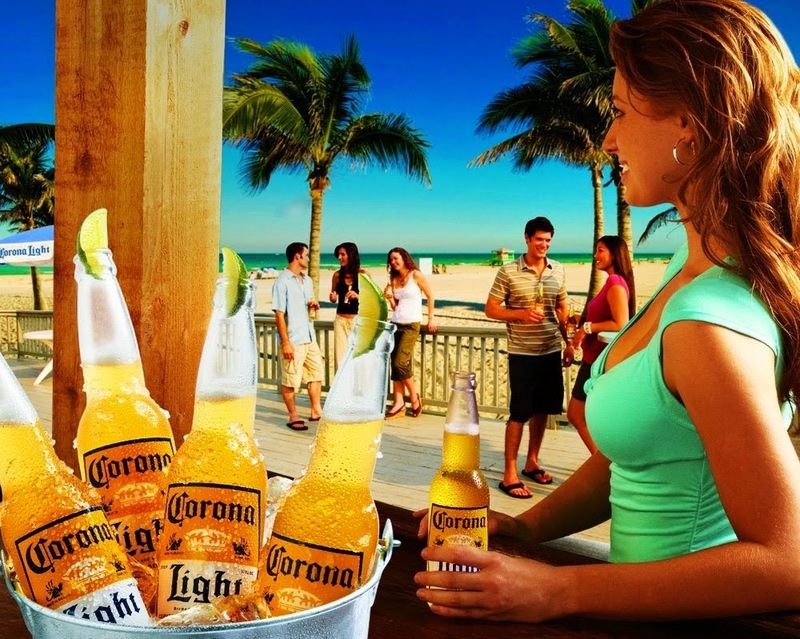 Corona's parent, Constellation, reported that sales were up 16 percent in early 2015. And growing. This comes at a time when consumers are turning away from premium lagers in favor of more hearty craft beers. There's also the fact that Corona gets very low marks on sites like RateBeer and Beer Advocate. Descriptions of the beer's flavor profile are not flattering. How has Corona managed to be a prolific brand at a time when it makes so little sense? Simple. 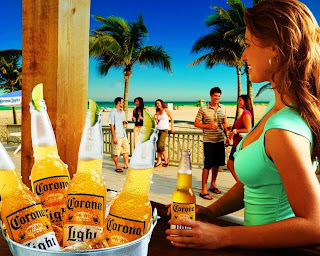 They've used sun, sand, babes and lime wedges to build a brand image that positions Corona as a high end product and status symbol. Some consumers drink it because it makes them feel like they're on vacation. Sales are through the roof. This has to one of the greatest cons of all time. You have to appreciate the irony, if nothing else.